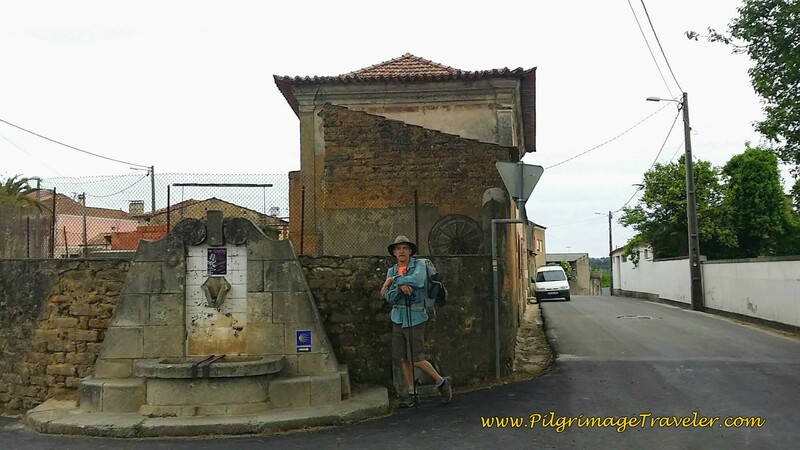 Day twelve on the Camino Portugués, was an historical day, filled with old mansions and a 2nd Century Roman bridge, to capture our imagination. 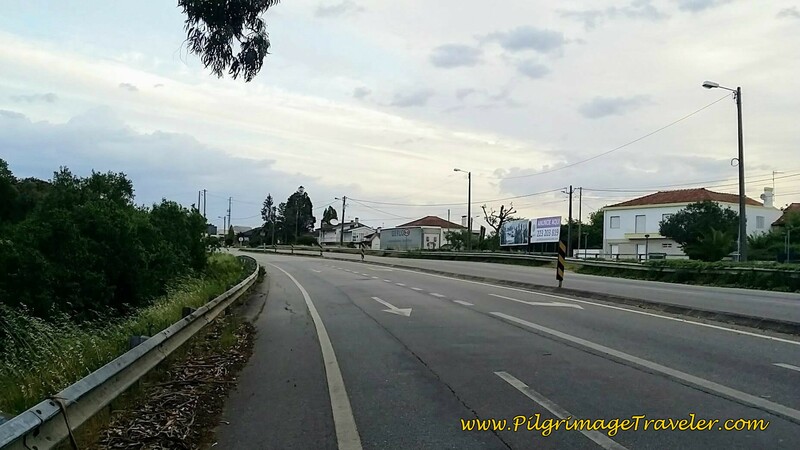 While the traditional stage is from Águeda to Albergaria-a-Velha, for only a 16 kilometer day, we decided to go only 5 km more to Albergaria-a-Nova. 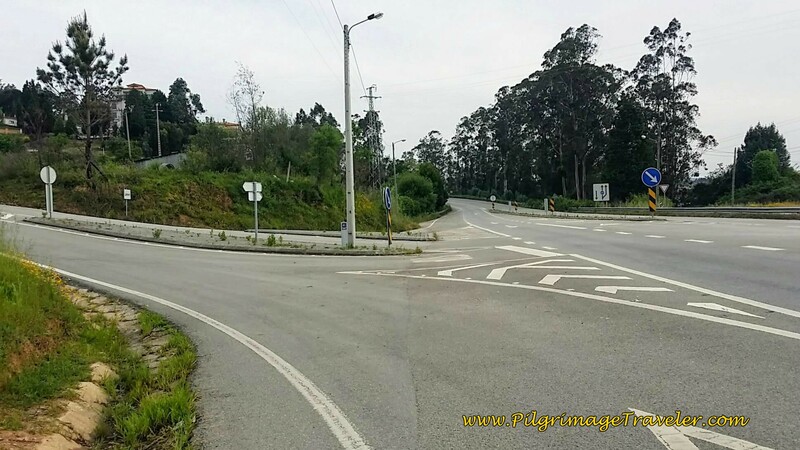 This shortened our next stage, day thirteen to São João da Madeira, from 29 kilometers to only a bit over 24 kilometers, for two more reasonably staged days, in our opinion. 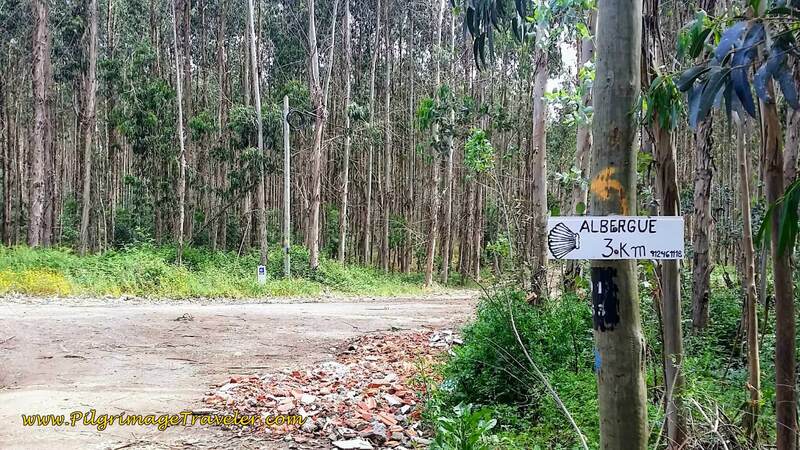 Albergaria-a-Nova is not as large nor as attractive as Albergaria-a-Velha, so make your own decision here! It's the difference between an old town and a new industrial one! But the albergue where we stayed in Albergaria-a-Nova was wonderful, and they even drove us to the grocery store, free of charge, to get food to make for our dinner! 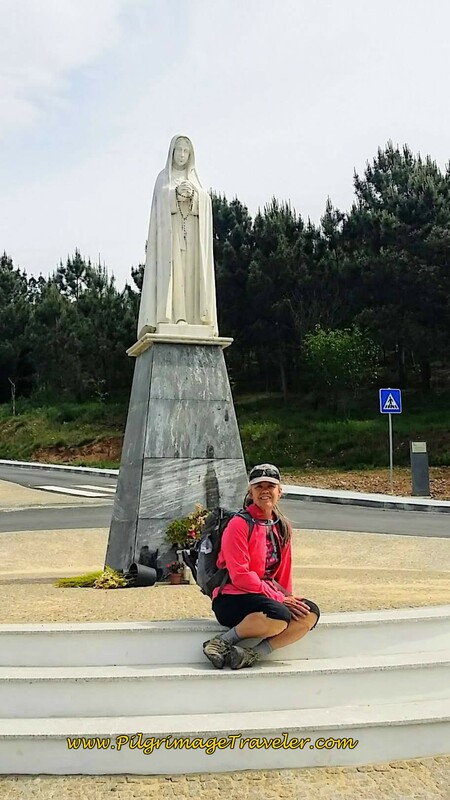 I felt like I had many God-moments on this stage of our Camino. 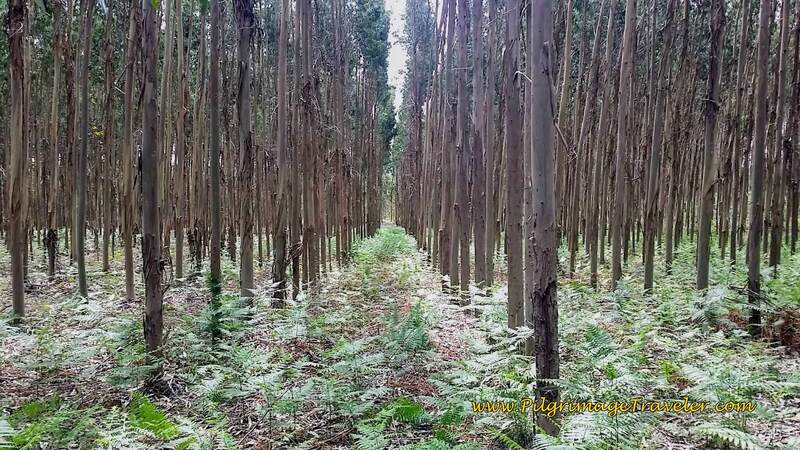 I definitely get charged up when I feel like I am walking on the ancient paths, and this would be true for our day twelve on the Portuguese Way. Here is my Google map, uploaded from my Geotracker xml files. Remember, I only included the albergues/hotels/cafés on the map that we actually visited. For a complete list of accommodations from Ivar's forum, click here. This stage has many more cafés than most, but as always, I advise to carry snacks and plenty of water, at a minimum, at all times. 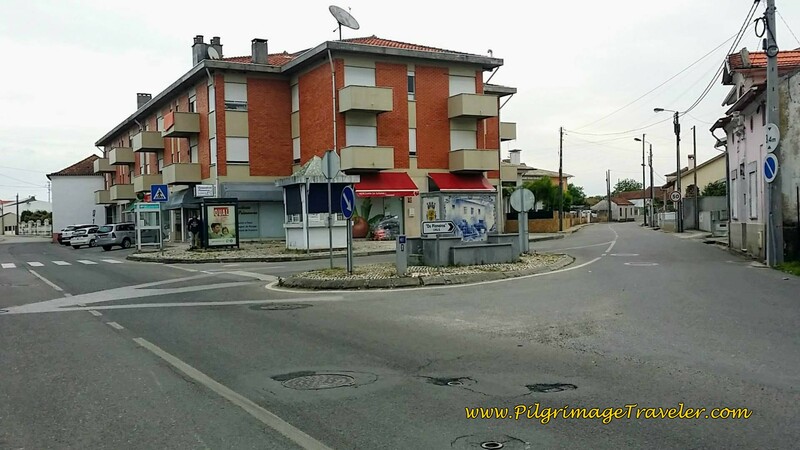 For my Google map of day twelve on the Camino Portugués, with photos included, those from this article and yes, even more, click here. 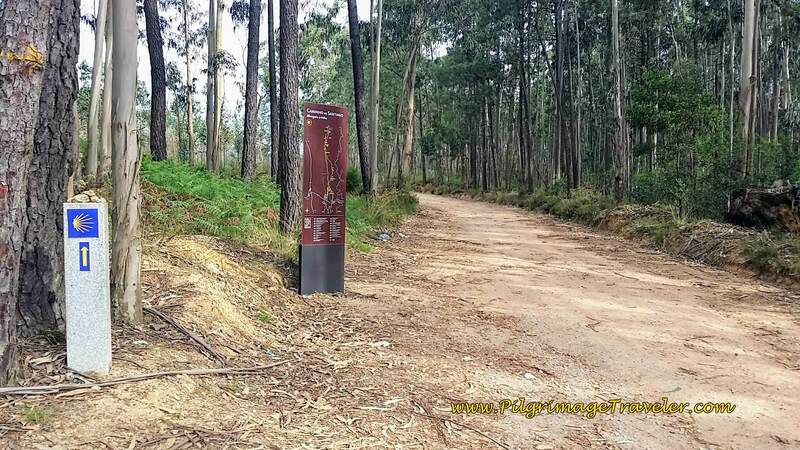 For the elevation changes in day twelve, you can see it is essentially flat until a small drop to the Vouga River, and back up, and a slow, steady and barely noticable climb to Albergaria-a-Velha, followed by a cruise into Albergaria-a-Nova. 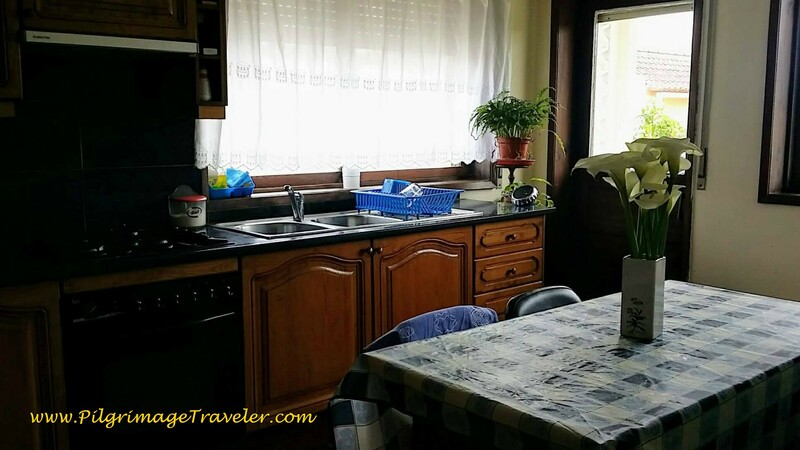 We started out our day, making a delicious and hearty breakfast of eggs, toast, coffee and fruit, in the kitchen at the most hospitable Albergue St. António and Residencial Celeste complex. We set off early, at dawn and walked out the door and directly onto the not-so-hospitable N1, below. 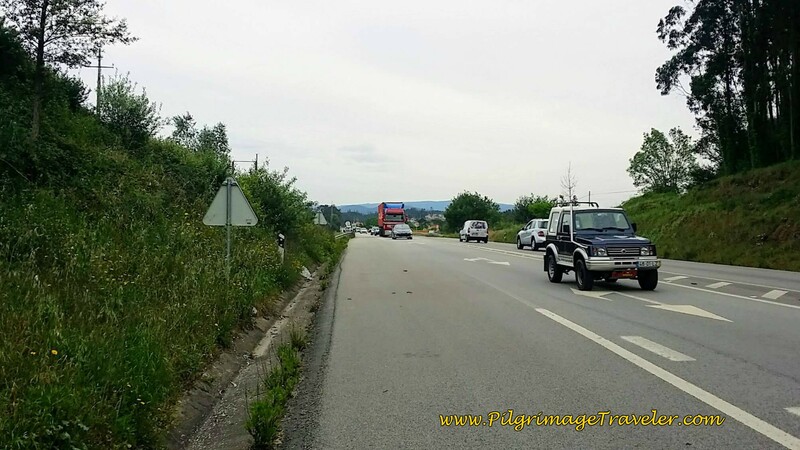 But the shoulder was wide enough and it was too early for much Portuguese traffic. It is a ways on the N1, so after about 2.5 kilometers, we veered off the highway. 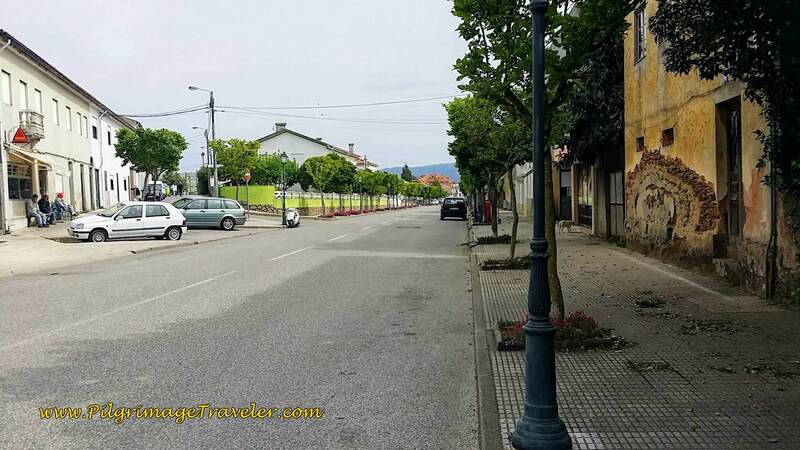 The first town we walked into was Mourisca do Vouga. It was to be a most interesting town, for which I would love to know more of its history. If you know it, pass the information along to the rest of us! 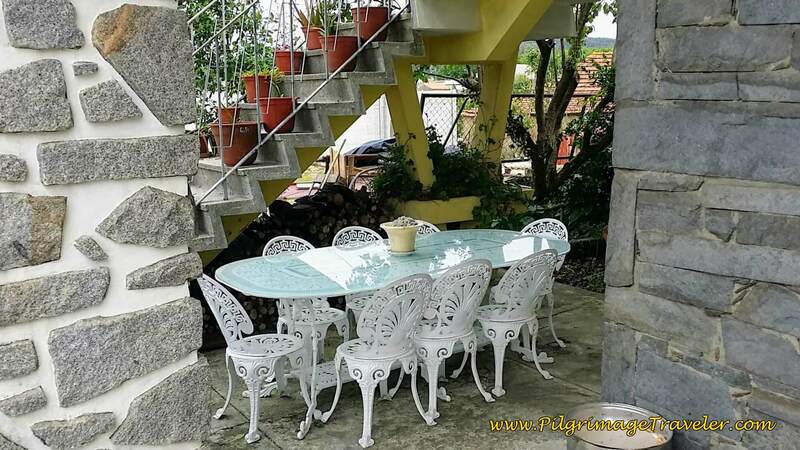 If you were interested in a café, the Pompeia Caffé is the first one we stumbled upon. However, being that we arrived before 8:00 a.m., it was not open. There were a lot of open cafés in this town! Stay right here at the café to continue on the Rua Liberdade. 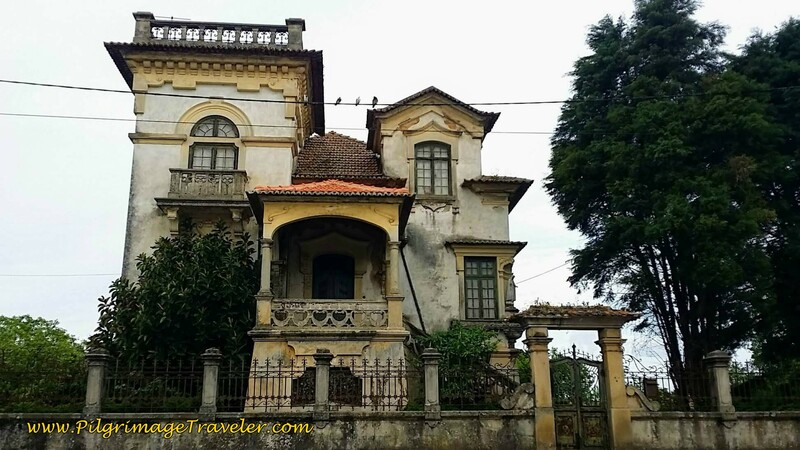 Just a bit farther along the Rua Liberdade is where the town starts to get interesting. Below is the first mansion that we encountered. 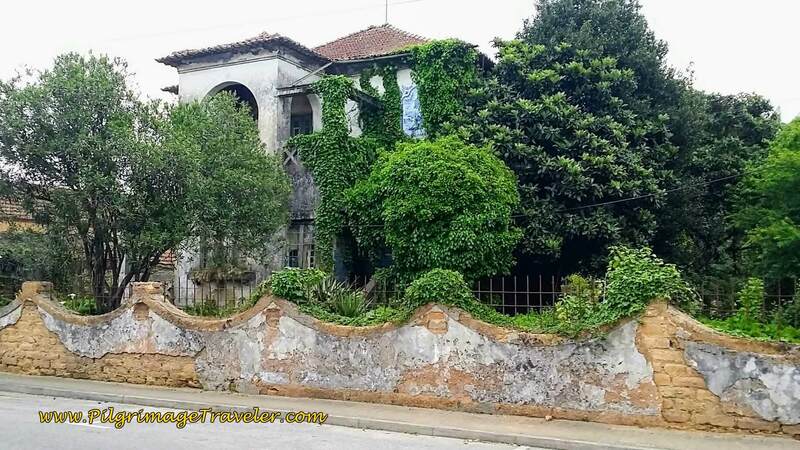 Mourisca do Vouga and the connecting town of São Sebastião appear to have been quite the flourishing towns at one time. 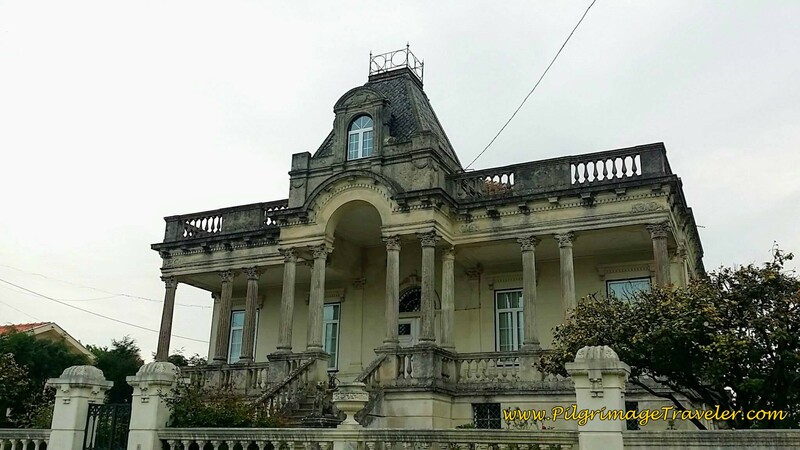 I'm not sure how these estates came to be, but I do know that this area is located in the rich, fertile valley of the Vouga River, full of vineyards, commercial forests and fruit trees. At the large open square of the Largo Sebastião Saraiva Lima, we stayed left at this intersection. And then, the first of the grand, abandoned estates began to appear! This one was my favorite and we nicknamed it the Munsters House because it looked like something out of the 1960's comedy T.V. show of the same name. You may remember it! From the Largo Sebastião Saraiva Lima we walked onward on the Rua de Abril and quickly came to yet another dilapidated estate. I loved the widow's walk on the top this one. But would the wife be watching for her long-gone husband in the fields instead of the sea? The rich gardens of the estates were gorgeous, even if some of them were overgrown. There is always a God-moment for me when I gaze upon a flower! 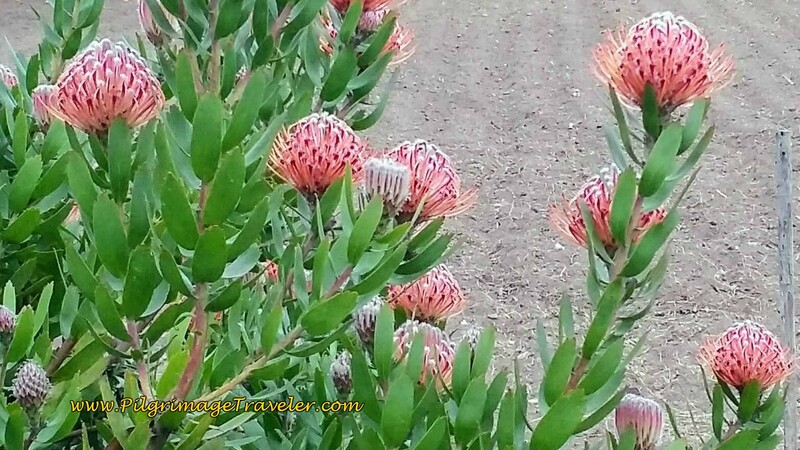 The Protea blooms were magnificent. If only we had the time, the desire or the resources to fix-up one of these glorious estates! I do find God-moments when I gaze upon the creativity of man, and these wonderful places, despite their neglected state were something to behold. If walls could talk, perhaps we'd know what had happened to them? 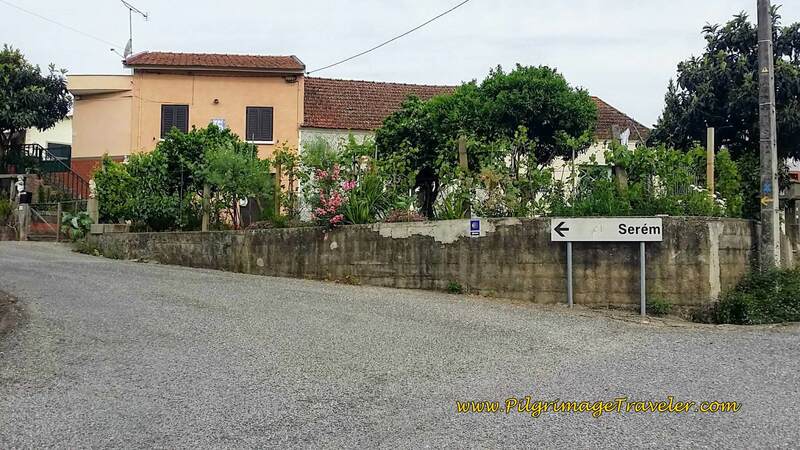 Maybe an albergue or country inn conversion is calling someone's name? And so we chattered on and on about the possibilities that lie in these old estates for minutes, if not for hours as we walked merrily onward! Fantasies are the making of dreams and dreams allow us to dare to think of possibilities, whether realistic or not! Positive thinking and faith are closely intertwined, don't you think? You never know how your thoughts may become matter, unless you dare to dream! 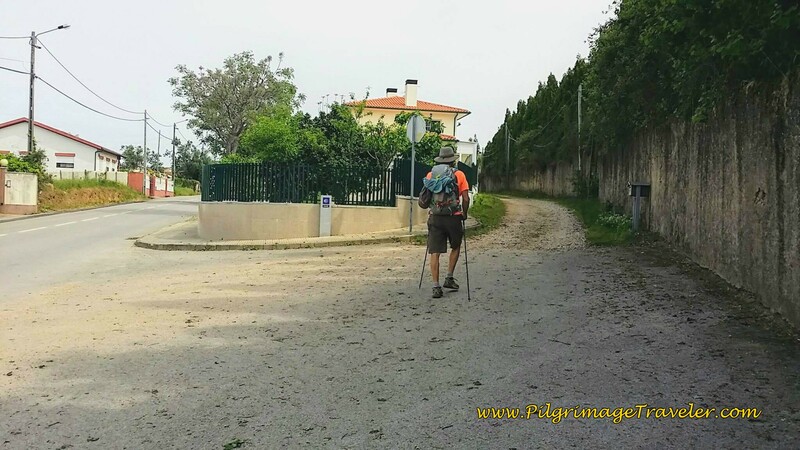 Back on day twelve of the Camino Portugués, after the last estate, we crossed over the N1 again, to join the Estrada Pedaçães to walk into the town of Pedaçães in another kilometer or so. 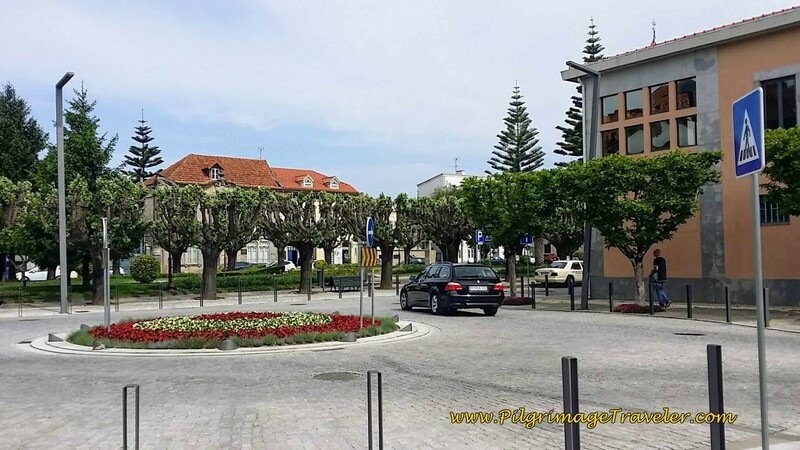 After entering the town, at its center, we turned right at the fountain in the photo, onto the Rua Espanha. and drops down steeply to the N1, and once again, fortunately, crosses it. 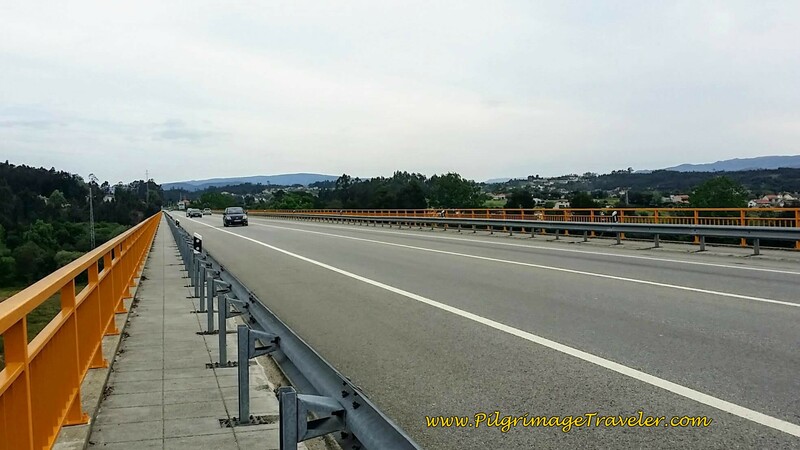 After crossing the N1, the best sight of the day was just ahead, the wonderful Roman bridge called the Cabeço do Vouga. 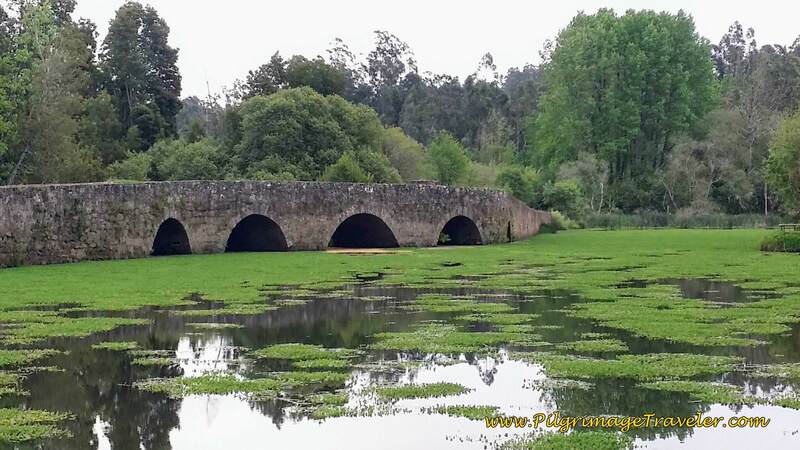 It is also known as the Ponte Velha do Marnel or the Old Bridge of Marnel. 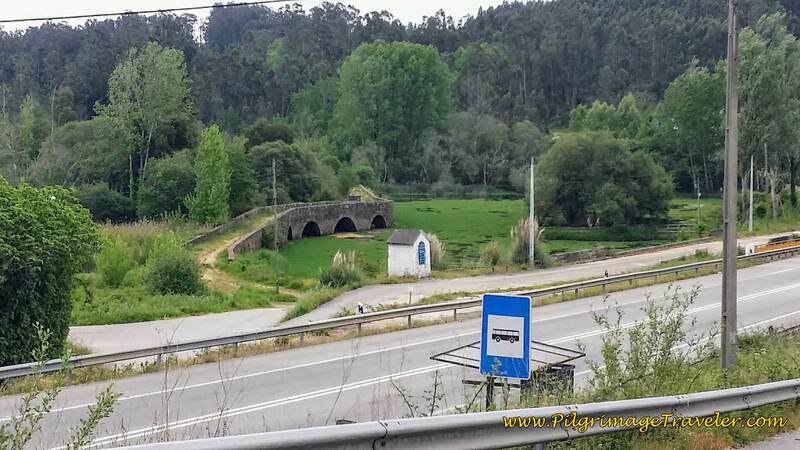 It was probably built in the second century and is located in the village of Lamas do Vouga, in the municipality of Águeda. 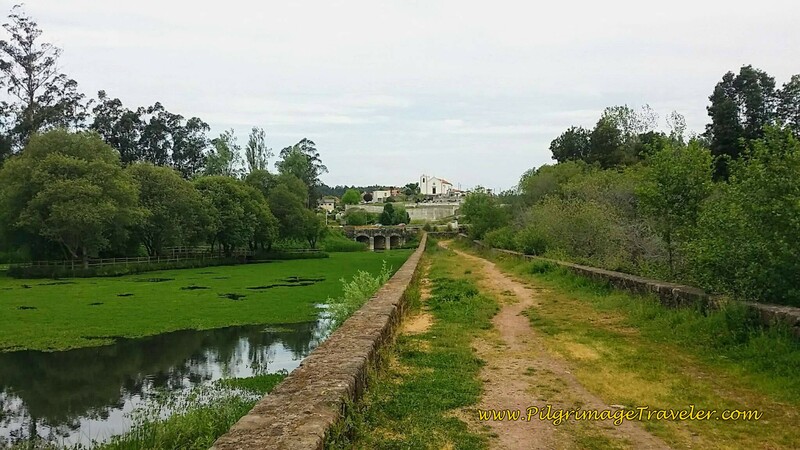 The church of Lamas do Vouga can be seen at the end of the bridge, in the photo, below. 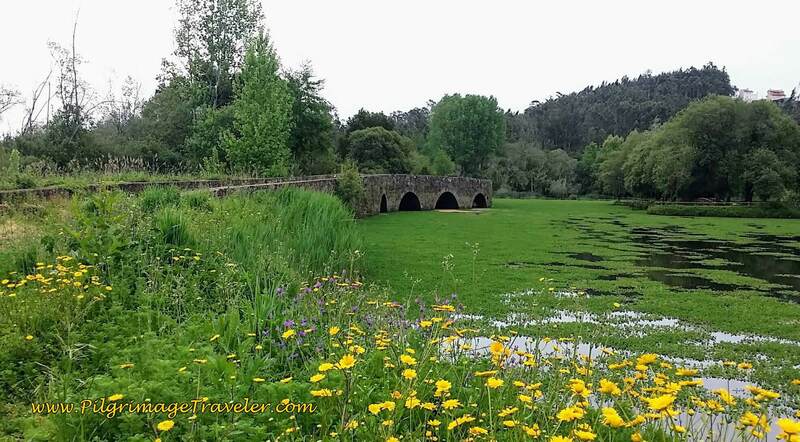 I felt very fortunate to be here in the spring, when the flowers and the algae were blooming. It was an inspiring sight and I actually felt like a "real" pilgrim as I imagined myself in a bygone era, walking across this bridge. This was most definitely a God-moment for me. An interesting feature of this bridge is that the archways are asymmetric. None are of the same dimensions! I wonder what had prompted this architectural feature. 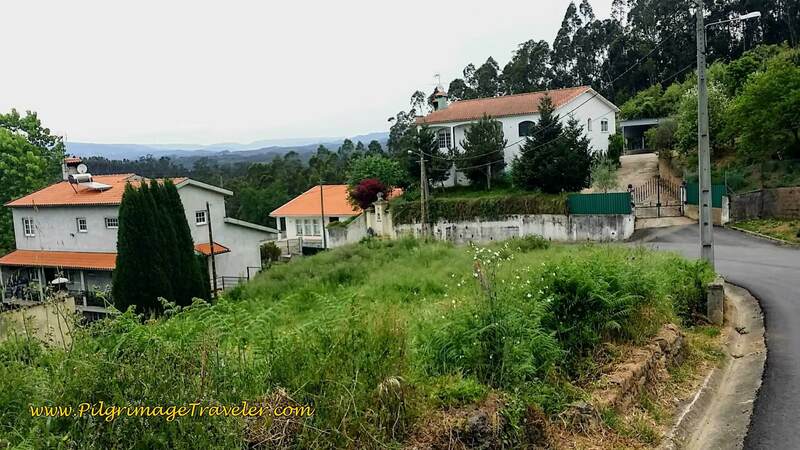 We were following along the Rua Freguesia Santa Maria de Lama, toward the church of Lamas do Vouga at the top of the hill. 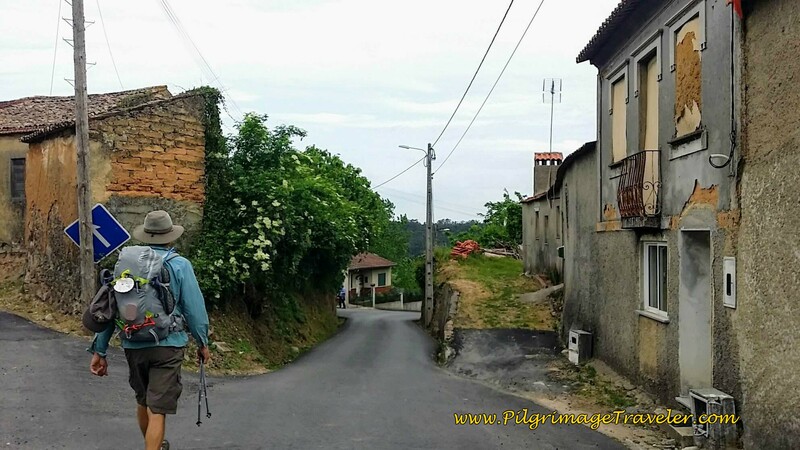 At this point, we were about seven kilometers into our day twelve on the Camino Portugués. 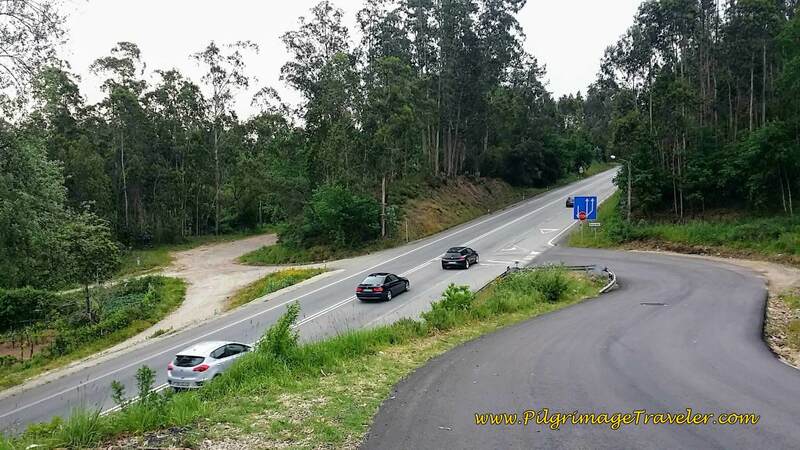 Just beyond the church in Lamas, we climbed a small hill, and joined the N1 in this photo, turning left toward Porto! 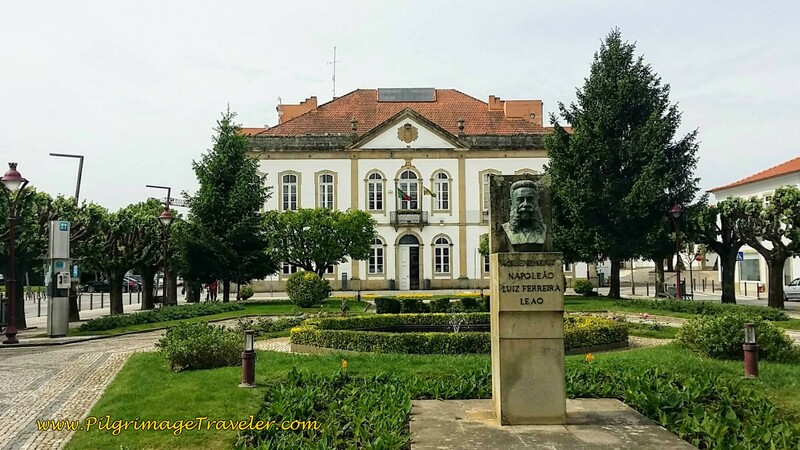 It was the first time that it hit us that Porto was only a two-and-a-half days walk away! Indeed, our spirits were lifted. This moment was my first actual realization that we were halfway to Santiago de Compostela and we could truly make it! Without a doubt, a God-moment. Even though the shoulder was wide on this part of the N1, the traffic was intense, and the fumes worse, with lots of trucks and speeding cars. 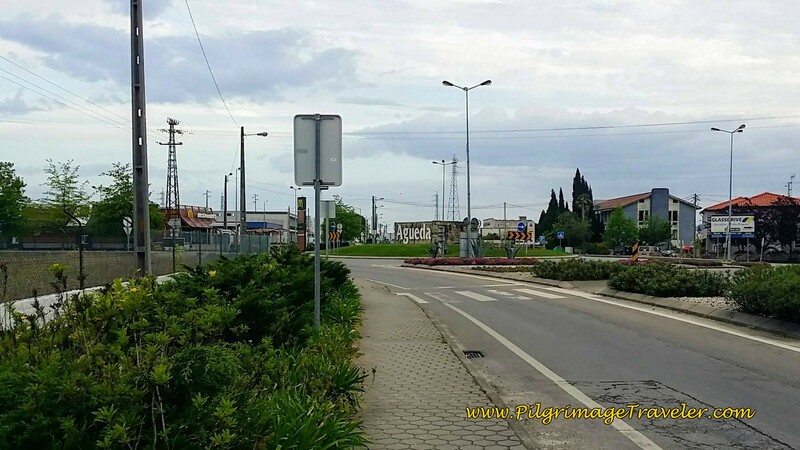 Fortunately it is only a few hundred meters before the bridge across the Vouga River is there, with a sidewalk and a guardrail to protect the pilgrimage traveler! So put your head down, and "get 'er done!" After crossing the long, high bridge, it is only a short way before one leaves the N1 to turn left here at this intersection. 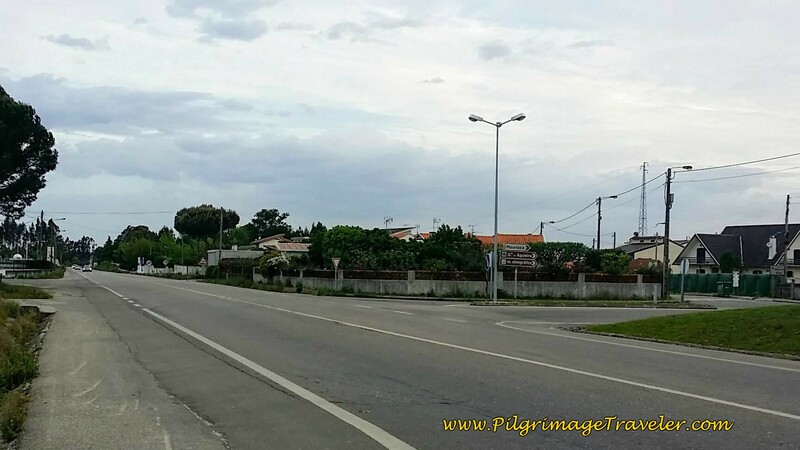 The sign points to the next town of Serém de Baixo. 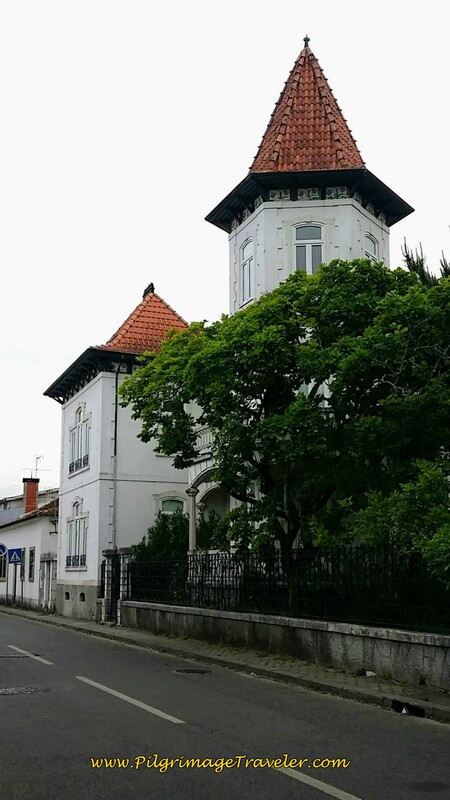 then into the town of Serém. 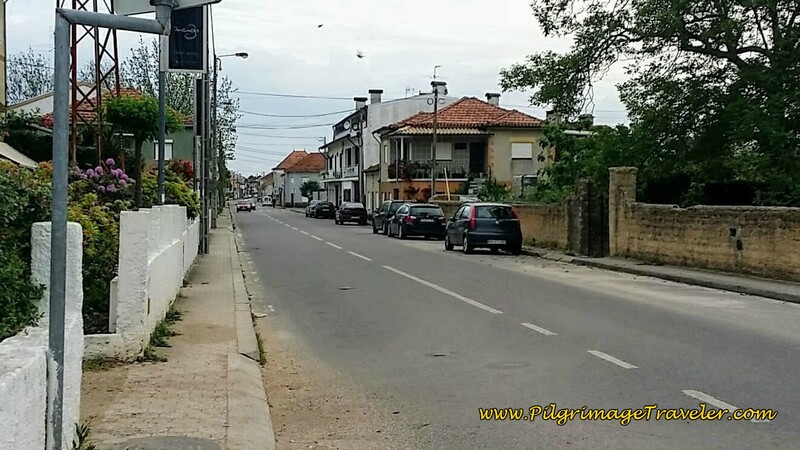 At about 11 kilometers, we decided it was time for a pit stop when we stumbled onto the Café St. António in Serém. The usual café con leite and pastries were the welcome lift we needed, halfway through the day. 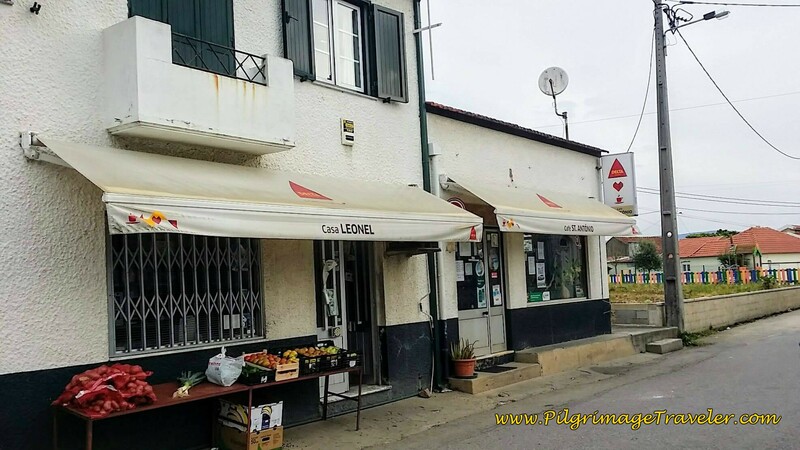 If you need supplies when you arrive here, there is also the market next door, the Casa Leonel. 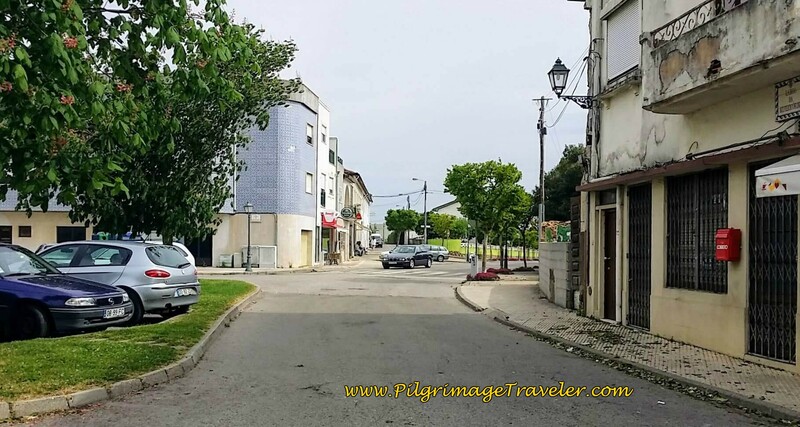 Our packs were full from the Lidl market by the albergue in Águeda, so we were good. 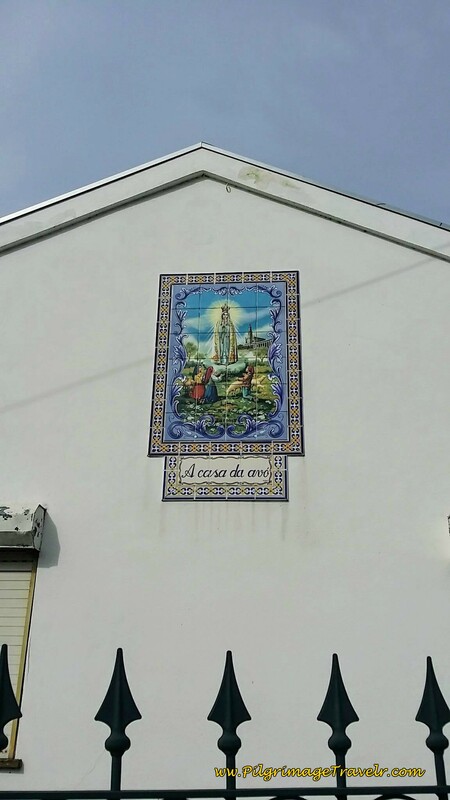 After our break we encountered another beautiful Fátima mural on a home along the main road, the Rua Central in Serém. Another God-moment. I breathed in the legend and the hope as I walked by. 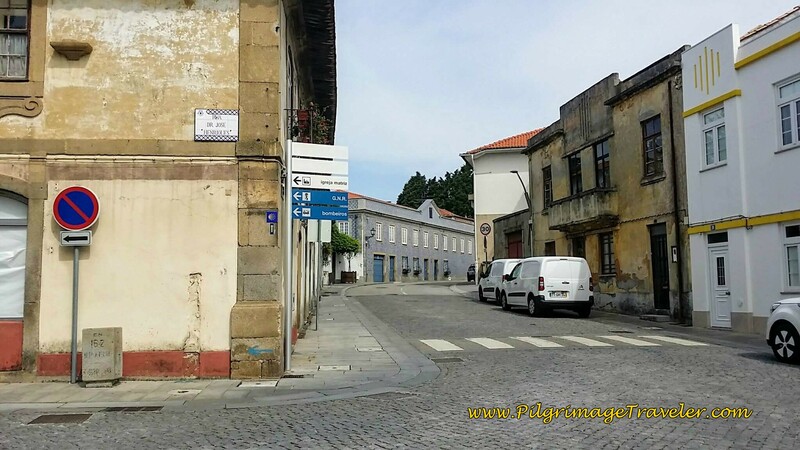 Then suddenly, on the Rua Central, the Camino Portugués finds a side street lane and follows it. 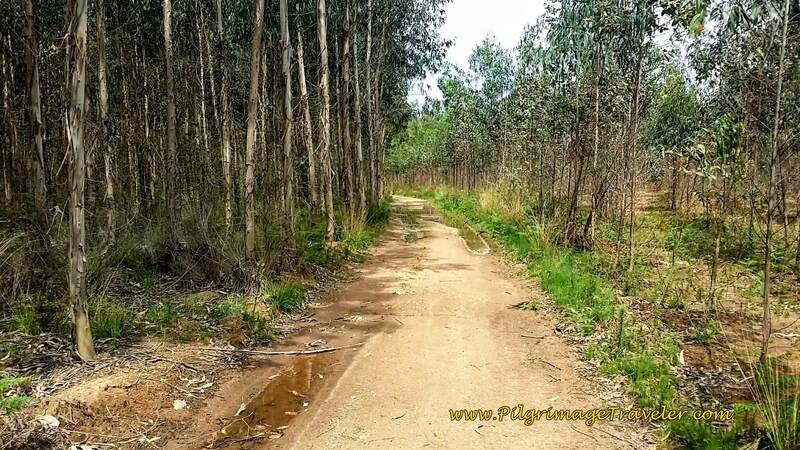 The lane crosses a road, the Estrada Paus and goes straight on into this eucalyptus forest, below. 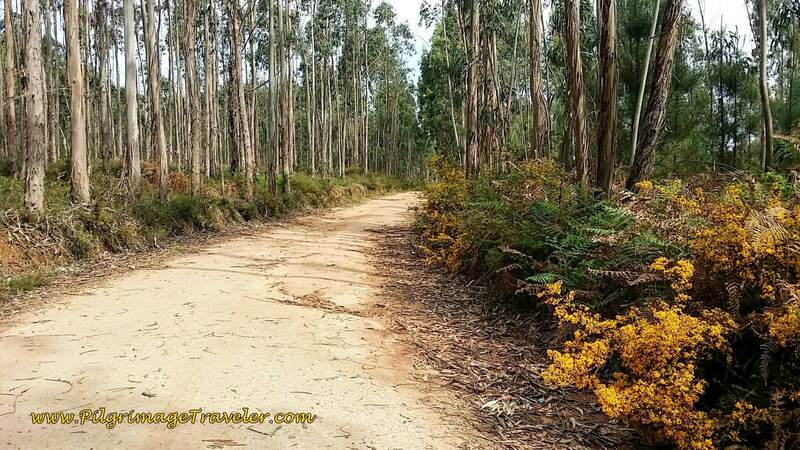 Then onto the long, eucalyptus-lined road. 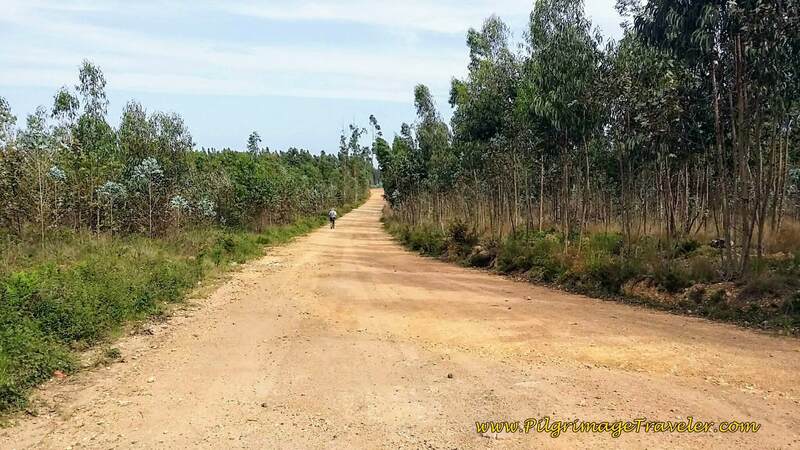 After about three kilometers on this long road, at this place, below, the road becomes the Largo Liz and you join the main road. 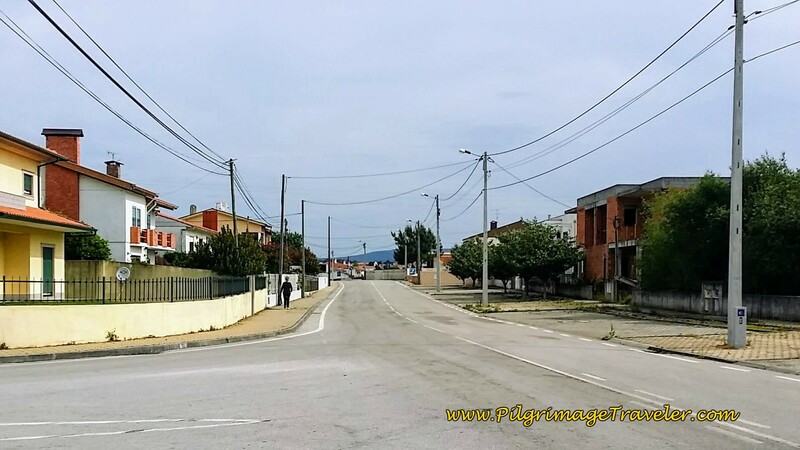 At the end of the forest road, we made a right turn onto the Rua Dom Dinis, and walked into the town of Assilho. ...and another café, here on the far left. 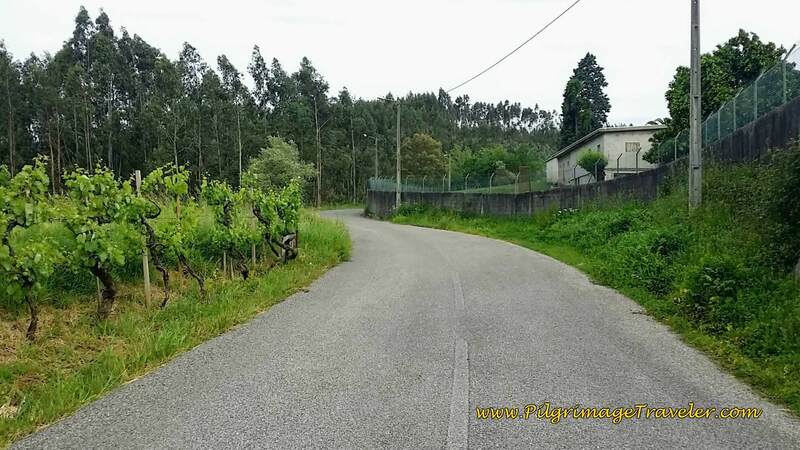 You are approximately 15 kilometers into your day twelve on the Camino Portugués, at Assilho, so a stop here might be on your radar. 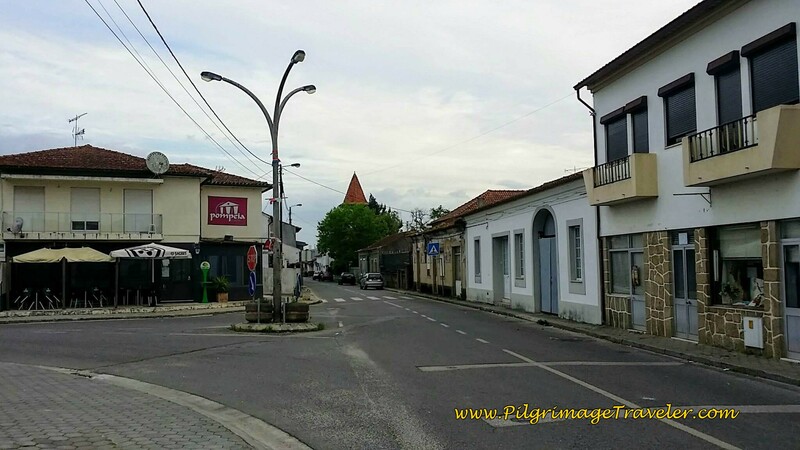 And then, a mere stone's throw away and we entered the large town of Albergaria-a-Velha, the old town. "Velha" means old. ...and through the main square. As discussed in the introduction to this day twelve on our Camino Portugués, despite many amenities in the old town of Albergaria, at only 16 kilometers, we decided to walk on to Albergaria-a-Nova, or the "new" Albergaria, only 7 more kilometers down the road and the albergue there. 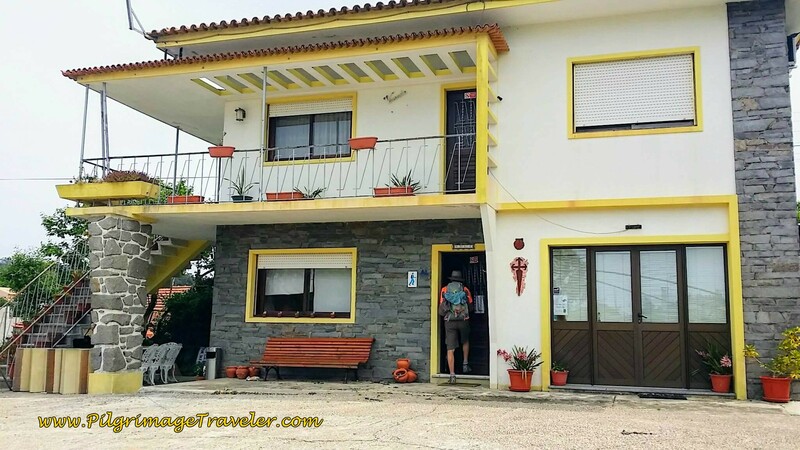 If your Camino lands you in Albergaria-a-Velha for the night, click here to see the accommodations available, in addition to the Albergue (check the Accommodation Guide). There are lots of cafés and other amenities in this town. 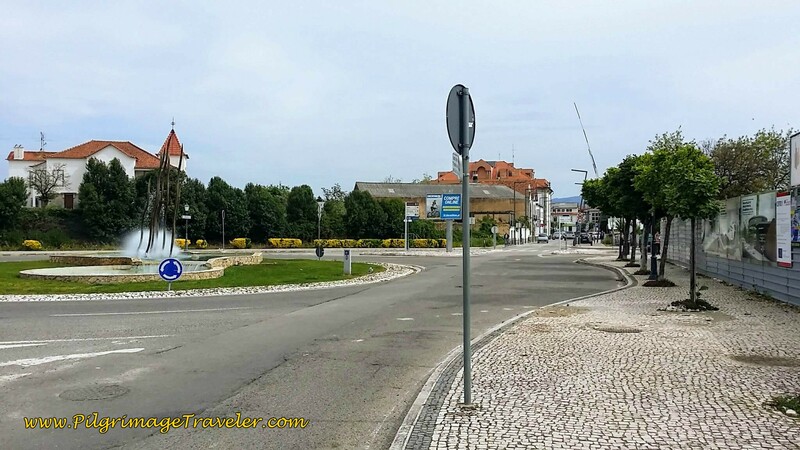 After walking through the main square, above, we turned left onto the Rua Hospital and straight on, at the intersection in the photo below. 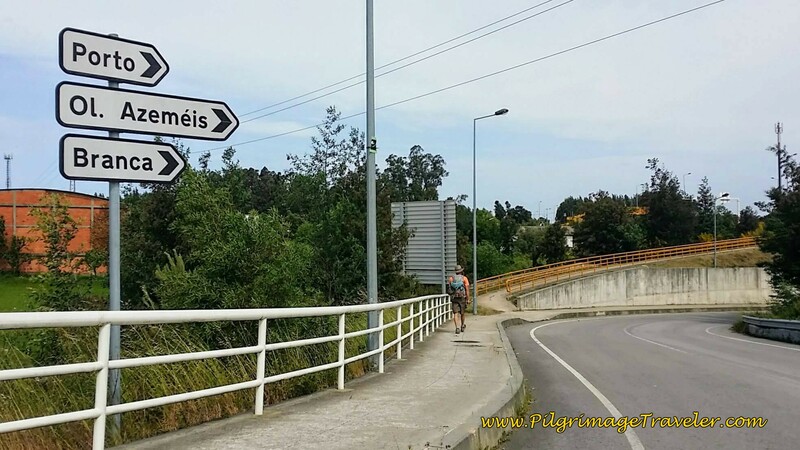 Continuing to walk straight on and north out of Albergaria-a-Velha, we came, once again to the busy N1. 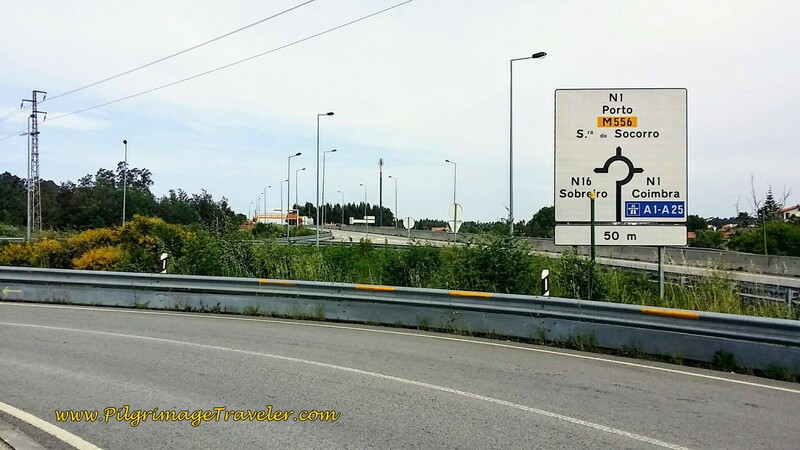 However, we veered to the left here, crossed a roundabout and found this road that took us to the left of the N1, then under it..
...to join the Rua Sra. do Socorro. A turn to the right, below, and we were back on this lovely dirt lane. 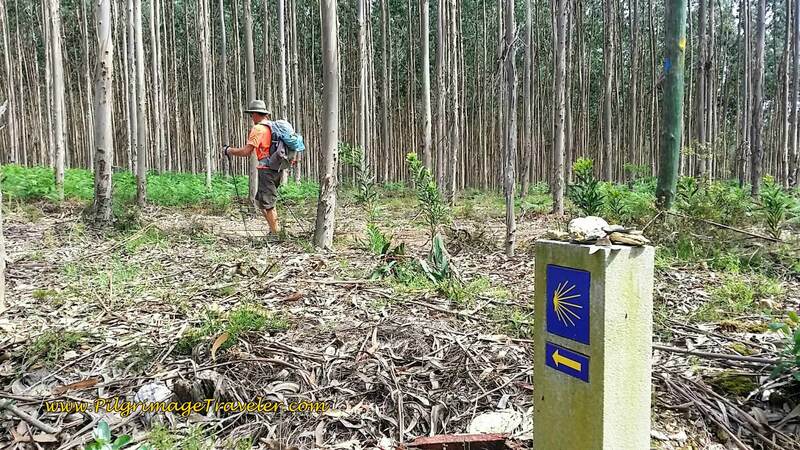 At the end of the forest path, we turned left and joined the EM556, a quiet paved road. The albergue in Albergaria-a-Nova is only 3 km from here. 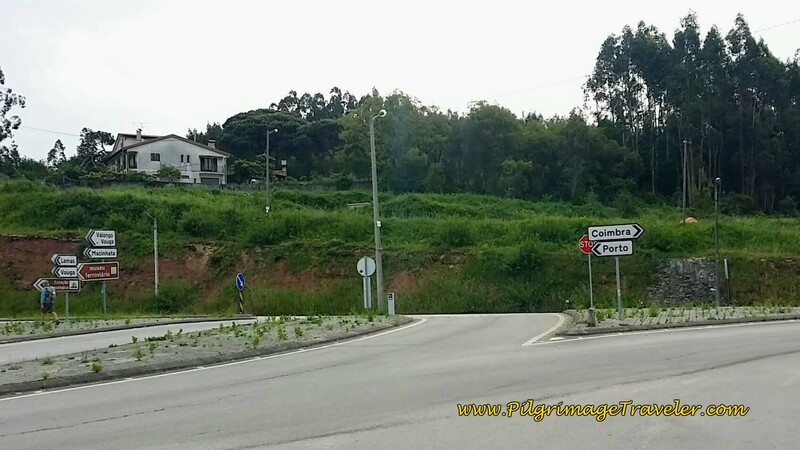 At the next intersection, there is a lovely statue, below, of the Nossa Senhora do Socorro (Our Lady of Help), courtesy of the nearby diocese. 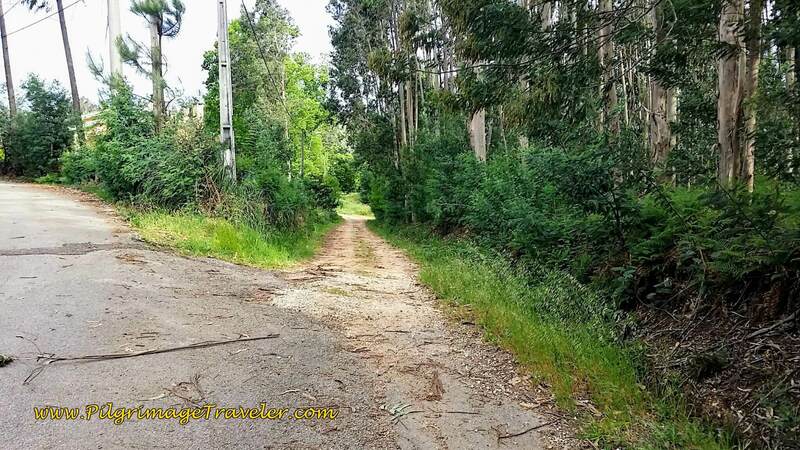 Once again, we veered off the paved road to the left, and onto a dirt road ~ into yet another eucalyptus forest for the final kilometer-and-a-half of our day twelve on the Camino Portugués. 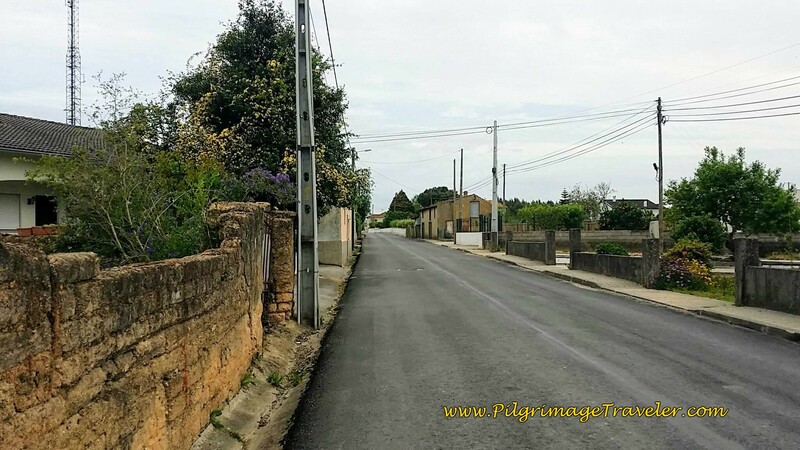 The dirt road gave way to the pavement, as we walked toward Albergaria-a-Nova. And suddenly, we are back on the N1 after a right turn once in town. Almost immediately after turning right, just before us are these yellow footprints leading us to the albergue, below. Whenever I see well-kept flower gardens outside, I know a place is well cared for inside as well. And I was not to be disappointed. 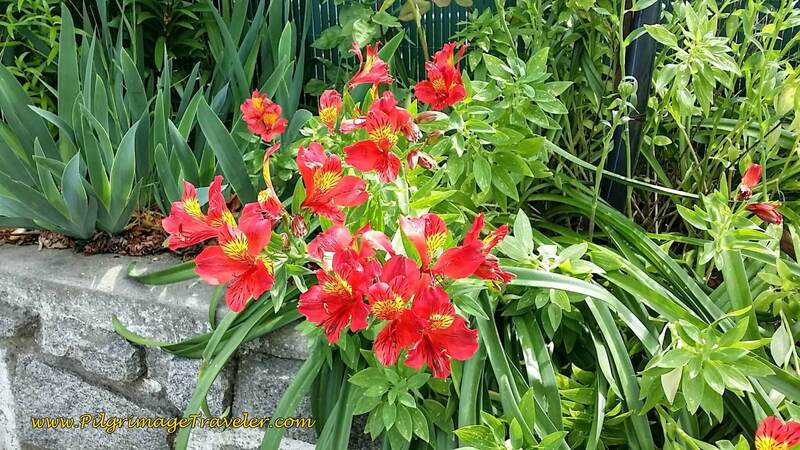 These Alstroemeria were a welcome, cheery sight, full of hope and inspiration for our night in the albergue. Here is the entrance to the Albergue Albergaria-a-Nova. The Albergue Albergaria-a-Nova is an actual home converted into an albergue. 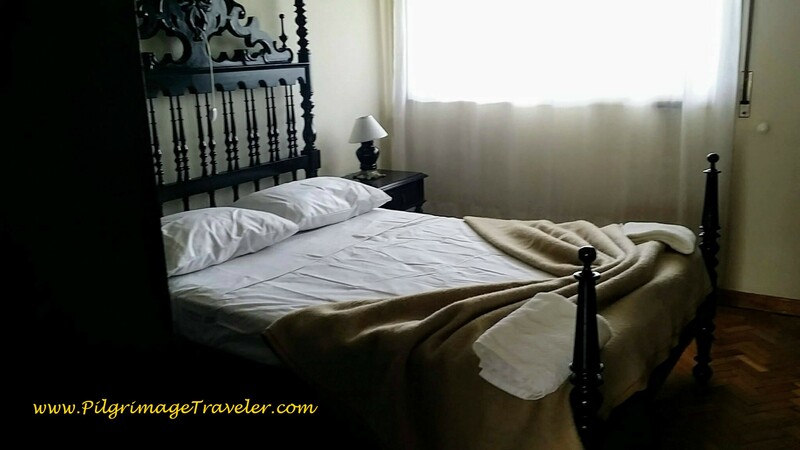 But the word "albergue" is truly a misnomer because it is so homey and inviting. I almost never take a bunch of photos of the places where I stay, unless it really impresses me. This place was the exception. We stayed in a private room, below, but there are also bunk rooms in the home. The homey kitchen is well-equipped. We cooked our dinner here after the proprietor drove us to the grocery store! There are two issues here: One is the traffic, because the albergue is on the busy N1 with lots of trucks making noise. Use your ear plugs! 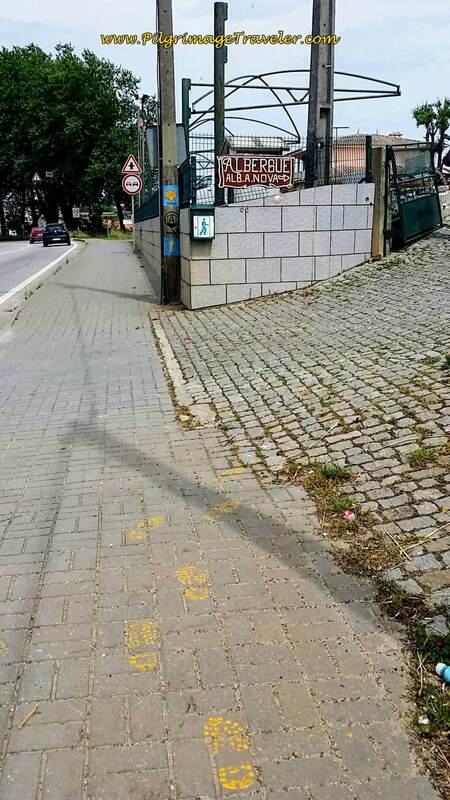 The other is that the closest café is about a kilometer away to the north. There is a mini-supermarket and a fruit market also within a kilometer (see day thirteen), if you can't get a ride to the large grocery store as we could. Unbelievably, we were the only ones staying here that night. 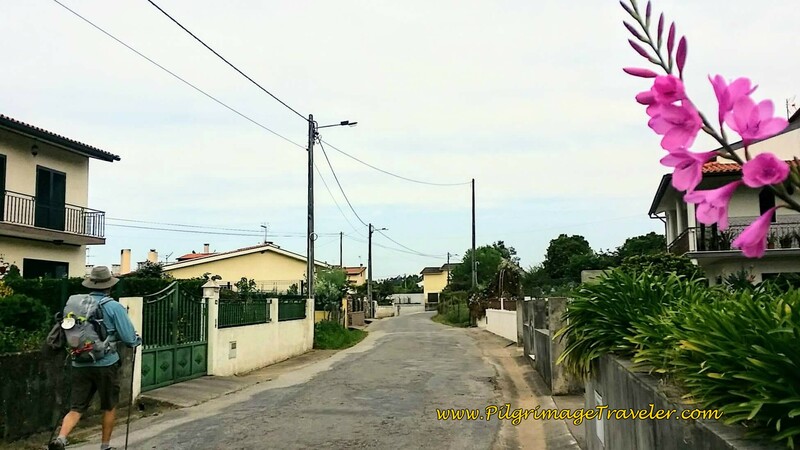 Our Aussie friends had let us know by text that they were staying in Albergaria-a-Velha. 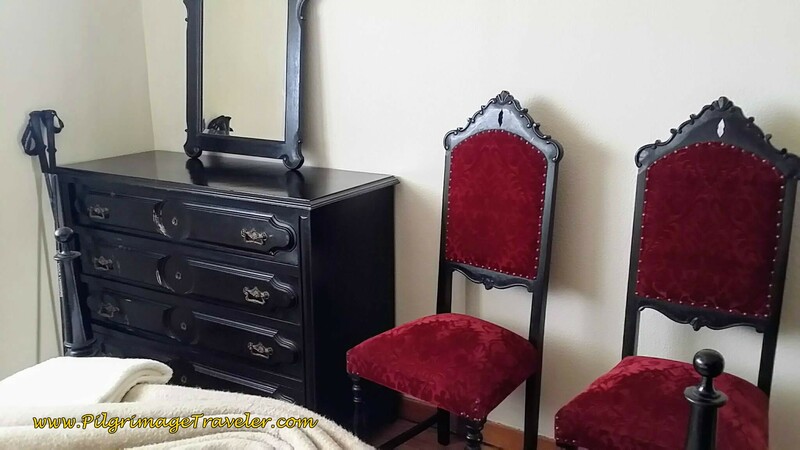 They preferred private bookings ahead of time, and no albergues. If they only knew! There is an indoor sitting room and outdoor sitting areas as well, to relax and have a beer, which we did! The albergue sells inexpensive beers right there. We thought this was a nice service and helped ourselves to one and dropped the payment into the jar provided! Plus, a hearty continental breakfast the next morning was only 2.50 Euros each, so with the price of the room our total was 30 Euros (25 for the private room with shared bath). This was a most pleasant day for me, short and sweet, yet indeed full of inspiration and God-moments. I was happier, less achy and more content today, even though I did have a bit of foot, plantar surface pain by the day's end. I was thrilled to be alive, despite being oh-so-alone on the trail, except for Rich and me. I found it difficult to think of anything at home, or anything at all outside of where we were! We were truly living in the moment. 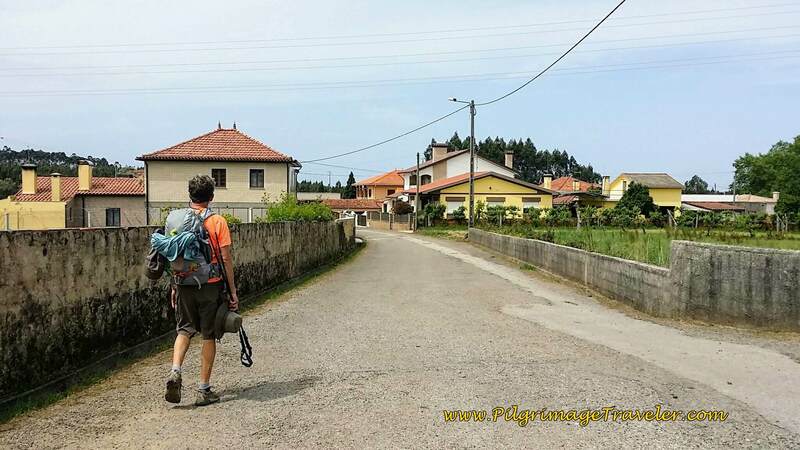 It was one of my best days on the the Camino thus far! 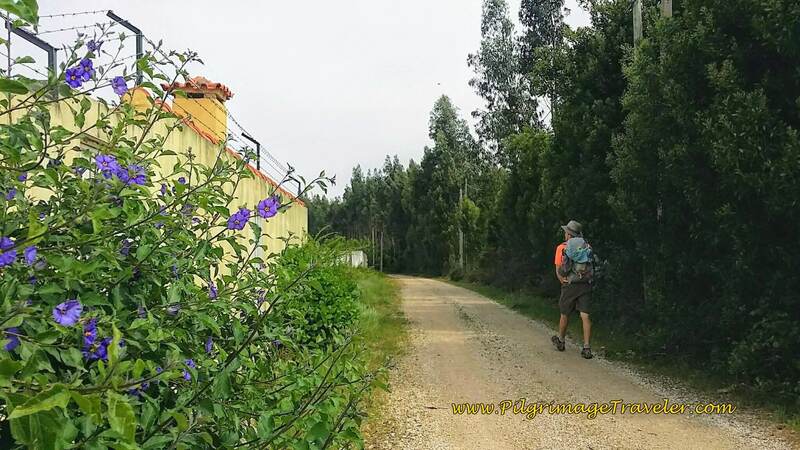 May your own day twelve on the Camino Portugués be delightful and full of present God-moments for you as well!